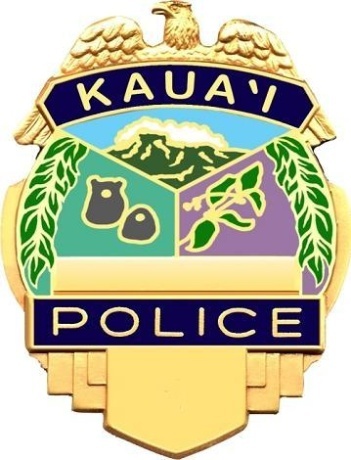 (Kauai)– As the community prepares for graduation season and summer break, the Kaua‘i Police Department is encouraging motorists to drive safely, and urging parents and the community to help prevent underage drinking. In an effort to prevent unsafe driving before it occurs, Kaua‘i police will be increasing enforcement efforts across the island. Police will be checking for those driving under the influence of intoxicants, driving while distracted on a cell phone, not using proper seat belt restraints, and other traffic violations. “Responsible driving is important every day, but we hope the added awareness during this time of the year will help to keep our community safe and most importantly, save lives,” said Deputy Chief Contrades. In 2017, there were 12 collisions that resulted in serious, life-threatening injuries. Additionally, four traffic crashes resulted in fatalities. According to KPD, three out of the four crashes last year involved drugs and/or alcohol. Currently, there has been one traffic-related fatality on Kaua‘i in 2018.